What is the first thing that comes to mind when talking about beach weddings? Most would say the sight, sand and the sea. Aside from these captivating elements that make beach weddings appealing up until now is the fact that it makes the ceremony out of the ordinary. However, due to the common setting that you usually see in a beach wedding, it’s no surprise that wedding couples are often too afraid of stepping out of their comfort zone. 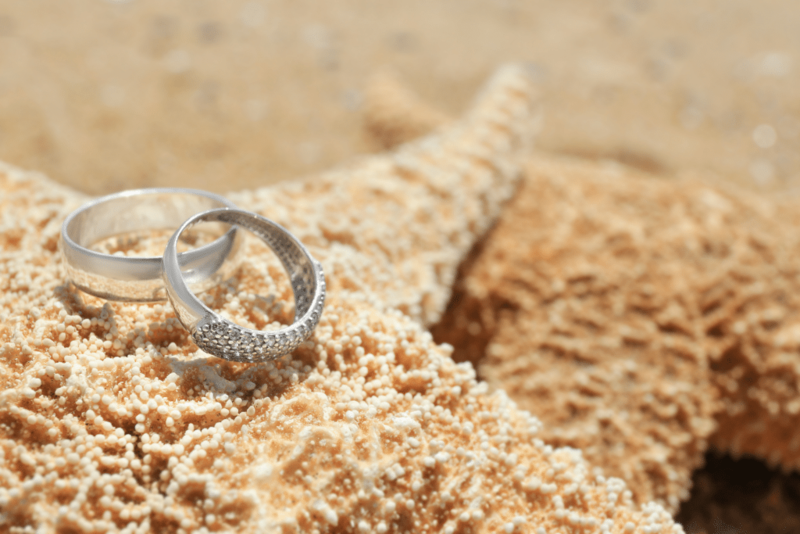 Whether you’re attending a beach wedding or preparing for your own sand-based ceremony, you need to be aware of these common beach wedding misconceptions. A beach wedding celebration won’t be complete without dressing up the venue with starfish and seashells. Modern-day beach weddings don’t need to conform to the norm. Just because you give the theme a modern twist doesn’t mean that you have defeated the purpose of having a beach wedding. Keep in mind that your themes should match your personality and preference. If you prefer to choose unusual colors over nautical colors, then it’s fine. Many wedding couples were made to believe that the only way you can make a beach wedding more meaningful is when you say “I do” in the sand. If you don’t like the idea, you can still choose other locations like the seaside piers, waterfront gazebos, terraces, and other romantic venues. 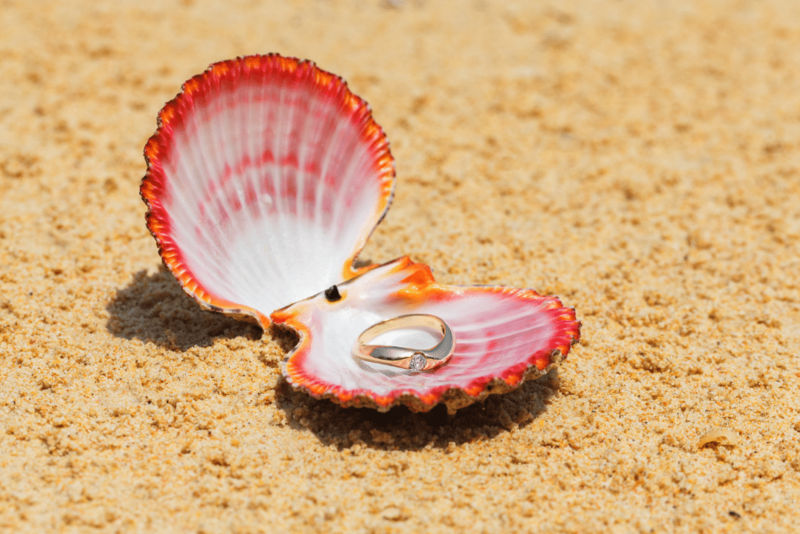 You don’t have to limit yourself just because almost everyone is exchanging vows in the sand. While it can be inevitable that other people are also watching the wedding ceremonies, especially if it’s held on public beaches, you can still make some arrangements with the resort to ensure that the wedding ceremony will be as private as possible. If the resort you have chosen doesn’t offer a private beach option, you can also choose to host your nuptials either during the week or in the morning as these are the times when crowds are less likely to appear. Most beaches are windy which makes wearing your hair up a practical option. However, if you opt for long flowing locks, you can choose a covered venue or a sunrise wedding, as this is the time when the wind is a little calmer. You don’t have to sacrifice your own preferences because a personalized beach wedding is possible. There can be several factors that will deter resorts from granting your requested wedding date. It might be a peak or low season or the weather may not work in your favor. This doesn’t mean, however, that beach weddings should happen on a Saturday. You need to choose a schedule that works for you. If you choose the peak season, you are guaranteed better weather, but it comes with its own set of disadvantages. Peak seasons make beaches more crowded and reserving accommodations and spaces may be a challenge. If you choose the low season, expect the weather to be less than stellar. The advantage of scheduling your beach wedding on a low season is that you’ll have a more private ceremony, affordable rates and there will be more accommodations available.